Grid Connected Systems supply power to your home or bussiness. If you are with Georgia Power you have options that will mean the power company PAYS YOU for every watt of energy you produce. All power companies pay you for any power you send to them. There are no batteries in a grid connected system, and the maintenance is minimal. Maintenance plans are available. You need to know about this law that will make your power bill even Higher! The #KW is the name plate of any system. The # is equal to the amount of energy created at peak performance per hour. In an average year, you will harvest 6630KW of AC energy; your Air Conditioner will use about 4000Kw per year. This means No giant ELECTRIC BILL for the summer!!! This next system will equal Free Air for 20 years! Start creating your own energy now and expand it over the years. Purchase 12-244W Samsung modules and SB4000U SMA inverter (SunnyBoy) inverter for just $9999.00 installed! (+permit fees). This system is upgradable by 2KW for a total of 5KW . You will only need to purchase the solar panels and racking. 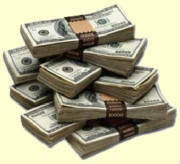 After you receive your Tax Credits from the State and Federal Governments, your investment is just $3,500.00. This information is from the National Renewable Energy Lab. You get your money back in 5 years. Over the life of the panels 25 to 50 years at today’s energy rates. You profit $9000 after you breakeven on your install.